Today is the second post in our three part series on milking every last bit of performance out of your webcam or Raspberry Pi camera. Increase the FPS rate of our video processing pipeline. Reduce the affects of I/O latency on standard USB and built-in webcams using threading. This week we’ll continue to utilize threads to improve the FPS/latency of the Raspberry Pi using both the picamera module and a USB webcam. As we’ll find out, threading can dramatically decrease our I/O latency, thus substantially increasing the FPS processing rate of our pipeline. Note: A big thanks to PyImageSearch reader, Sean McLeod, who commented on last week’s post and mentioned that I needed to make the FPS rate and the I/O latency topic more clear. In last week’s blog post we learned that by using a dedicated thread (separate from the main thread) to read frames from our camera sensor, we can dramatically increase the FPS processing rate of our pipeline. This speedup is obtained by (1) reducing I/O latency and (2) ensuring the main thread is never blocked, allowing us to grab the most recent frame read by the camera at any moment in time. Using this multi-threaded approach, our video processing pipeline is never blocked, thus allowing us to increase the overall FPS processing rate of the pipeline. In fact, I would argue that it’s even more important to use threading on the Raspberry Pi 2 since resources (i.e., processor and RAM) are substantially more constrained than on modern laptops/desktops. Again, our goal here is to create a separate thread that is dedicated to polling frames from the Raspberry Pi camera module. By doing this, we can increase the FPS rate of our video processing pipeline by 246%! We’ll be reviewing the source code to the video sub-package of imutils to obtain a better understanding of what’s going on under the hood. Lines 2-5 handle importing our necessary packages. We’ll import both PiCamera and PiRGBArray to access the Raspberry Pi camera module. If you do not have the picamera Python module already installed (or have never worked with it before), I would suggest reading this post on accessing the Raspberry Pi camera for a gentle introduction to the topic. On Line 8 we define the constructor to the PiVideoStream class. We’ll can optionally supply two parameters here, (1) the resolution of the frames being read from the camera stream and (2) the desired frame rate of the camera module. We’ll default these values to (320, 240) and 32 , respectively. Finally, Line 19 initializes the latest frame read from the video stream and an boolean variable used to indicate if the frame reading process should be stopped. Lines 22-25 define the start method which is simply used to spawn a thread that calls the update method. The update method (Lines 27-41) continuously polls the Raspberry Pi camera module, grabs the most recent frame from the video stream, and stores it in the frame variable. Again, it’s important to note that this thread is separate from our main Python script. Finally, if we need to stop the thread, Lines 38-40 handle releasing any camera resources. Note: If you are unfamiliar with using the Raspberry Pi camera and the picamera module, I highly suggest that you read this tutorial before continuing. The read method simply returns the most recently read frame from the camera sensor to the calling function. The stop method sets the stopped boolean to indicate that the camera resources should be cleaned up and the camera polling thread stopped. Lines 2-10 handle importing our necessary packages. We’ll import the FPS class from last week so we can approximate the FPS rate of our video processing pipeline. From there, Lines 13-18 handle parsing our command line arguments. We only need two optional switches here, --num-frames , which is the number of frames we’ll use to approximate the FPS of our pipeline, followed by --display , which is used to indicate if the frame read from our Raspberry Pi camera should be displayed to our screen or not. Finally, Lines 21-26 handle initializing the Raspberry Pi camera stream — see this post for more information. Line 31 starts the FPS counter, allowing us to approximate the number of frames our pipeline can process in a single second. We then start looping over frames read from the Raspberry Pi camera module on Line 34. Lines 41-43 make a check to see if the frame should be displayed to our screen or not while Line 48 updates the FPS counter. Finally, Lines 61-63 handle releasing any camera sources. This code is very similar to the code block above, only this time we initialize and start the threaded PiVideoStream class on Line 68. We then loop over the same number of frames as with the non-threaded approach, update the FPS counter, and finally print our results to the terminal on Lines 89 and 90. In this section we will review the results of using threading to increase the FPS processing rate of our pipeline by reducing the affects of I/O latency. And a Logitech C920 camera (which is plug-and-play capable with the Raspberry Pi). I also gathered results using the Raspberry Pi Zero. Since the Pi Zero does not have a CSI port (and thus cannot use the Raspberry Pi camera module), timings were only gathered for the Logitech USB camera. Figure 1: Increasing the FPS processing rate of the Raspberry Pi 2. As we can see from the screenshot above, using no threading obtained 15.46 FPS. However, by using threading, our FPS rose to 226.67, an increase of over 1,366%! But before we get too excited, keep in mind this is not a true representation of the FPS of the Raspberry Pi camera module — we are certainly not reading a total of 226 frames from the camera module per second. Instead, this speedup simply demonstrates that our for loop pipeline is able to process 226 frames per second. This increase in FPS processing rate comes from decreased I/O latency. By placing the I/O in a separate thread, our main thread runs extremely fast — faster than the I/O thread is capable of polling frames from the camera, in fact. This implies that we are actually processing the same frame multiple times. Again, what we are actually measuring is the number of frames our video processing pipeline can process in a single second, regardless if the frames are “new” frames returned from the camera sensor or not. Using the current threaded scheme, we can process approximately 226.67 FPS using our trivial pipeline. This FPS number will go down as our video processing pipeline becomes more complex. Figure 2: Reducing the I/O latency and improving the FPS processing rate of our pipeline using Python and OpenCV. Using no threading, we reached only 14.97 FPS. But by placing the frame I/O into a separate thread, we reached 51.83 FPS, an improvement of 246%! It’s also worth noting that the Raspberry Pi camera module itself can reportedly get up to 90 FPS. To summarize the results, by placing the blocking I/O call in our main thread, we only obtained a very low 14.97 FPS. But by moving the I/O to an entirely separate thread our FPS processing rate has increased (by decreasing the affects of I/O latency), bringing up the FPS rate to an estimated 51.83. Simply put: When you are developing Python scripts on the Raspberry Pi 2 using the picamera module, move your frame reading to a separate thread to speedup your video processing pipeline. Figure 3: Obtaining 36.09 FPS processing rate using a USB camera and a Raspberry Pi 2. With no threading, our pipeline obtained 22 FPS. But by introducing threading, we reached 36.09 FPS — an improvement of 64%! Figure 4: Since the Raspberry Pi Zero is a single core/single threaded machine, the FPS processing rate improvements are very small. With no threading, we hit 6.62 FPS. And with threading, we only marginally improved to 6.90 FPS, an increase of only 4%. The reason for the small performance gain is simply because the Raspberry Pi Zero processor has only one core and one thread, thus the same thread of execution must be shared for all processes running on the system at even given time. Given the quad-core processor of the Raspberry Pi 2, it’s suffice to say the Pi 2 should be used for video processing. In this post we learned how threading can be used to increase our FPS processing rate and reduce the affects of I/O latency on the Raspberry Pi. Using threading allowed us to increase our video processing rate by a nice 246%; however, its important to note that as the processing pipeline becomes more complex, the FPS processing rate will go down as well. In next week’s post, we’ll create a Python class that incorporates last week’s WebcamVideoStream and today’s PiVideoStream into a single class, allowing new video processing blog posts on PyImageSearch to run on either a USB camera or a Raspberry Pi camera module without changing a single line of code! Sign up for the PyImageSearch newsletter using the form below to be notified when the post goes live. The code ran ‘straight out of the box’ for me, albeit I had to run it from the ‘standard’ prompt rather than the ‘cv2’ wrapper. Your tutorials are fantastically helpful! Do you have any plans to incorporate a QR reader? Thanks Tony! At the present time I don’t have any plans to do any tutorials for a QR reader, although that’s something I would like to explore in the future. In the meantime, you should take a look at the zbar library. I absolutely love your blogs. I like your more recent posts that shows how To more efficiently use Python. Or use Python in a better way to complement the use of CV. Also dome of the the things you do i. Your example code it very applicable to not only image processing. But other problem domains as well. Thanks Adrian, again, for all your very informative blogs. It is a great improvement over older blogs that the comments now match actual line numbers; thanks! I’m running my pi2 headless, but with a HDMI display attached, over a ssh -X link. I can see the camera from this blog image on my monitor, which is in itself a miracle! A significant improvement, on which I’d like to do some further investigation, but for now I’d like the camera image displayed on the HDMI screen as well as the monitor. I can’t seem to figure out how to make that happen. You are correct, the X11 forwarding is what is causing the slow down. As for your question, I’m not sure I understand. You want to display an image on your HDMI screen (that is physically connected to your Pi) along with the same image to the system you are using to SSH into the Pi? Unfortunately, I don’t think that’s an easy thing to do. You’ll likely need to create a producer/consumer setup where your first Python script reads frames from the camera device (i.e., the producers) and then other Python scripts (i.e., consumers) are able to take the frame and display it. Thanks for your prompt reply, Adrian. Perhaps I’m envisaging too many steps at a time. I guess initially I’m really wanting to display the image on the attached HDMI display, instead of the X11 display. I then want to do some processing, such as shape recognition, as per your other tutorials, and display the results on the remote monitor. I had envisaged perhaps running a third thread, which extracts the current (or last) frame from the real-time HDMI display, and sends that over the X11 link, while allowing the data acquisition and processing to continue at full speed. That does indeed make sense. In either case, I think the best way to accomplish this is with a messaging passing library such as RabbitMQ or pyzmq. This will ensure that the latest version is installed and that a cached version is not used. You can also find the imutils code on GitHub. Can you list the contents of the site-packages directory of your cv3 virtual environment? And see which version of imutils is installed? It should be v0.3.3. Adrian, I’m curious. I’m running this threading exercise with some boilerplate image processing (for motion) from earlier on in your posts and am only seeing rather marginal improvements on the RPi2. From PiCamera module without threading, I see ~10FPS and with threading I’m getting ~14FPS. Is this likely due to imshow? What I’m really curious about is piping this to a website of sorts so it can actually be apart of a responsive security system. Thanks, and I’ve probably spent about 10hrs on your website over the past week learning all this! Super intuitive the way you write it up, and I can’t thank you enough for commenting all your code, as a self-taught developer, the comments and tutorials you provide are invaluable. Is your boilerplate pipeline doing anything other than calling cv2.imshow? It’s important to keep in mind that the more processing you do inside the loop, the longer each loop will take, and thus your overall FPS processing rate will drop. If you are doing more than just using cv2.imshow, I would remove it and then re-run your script. You should see another improvement. I struggled for long time to get opencv compiled on the RPI to use it with RaspiCam c++ library and got around 24FPS which is quiet good . and now you are showing we can get over 50FPS ! with simple threading and with my favorite programming language :d , this is amazing . Thanks a lot for sharing it with us . Nice post. I like how you do different experiments with the Raspberry Pi and the camera. It reminds me of the time when I was playing with Opencv and the model B a few years ago. One thing I don’t understand is that how were you only getting around 15 FPS without doing multithreading? The only processing you were doing was resizing on 320*240 frames. In part one you were using a 1080P webcam and you could get around 30 FPS with the opencv library. Is picamera library extremely slow or am I missing something important? Because when I was doing heavy processing (resizing ,filtering,greyscale,flip,face detection,…) on similar sized frames with the model B I could achieve around 10FPS. I just ordered a Raspberry Pi2 so I was expecting better performance. The picamera library is implemented in Python, so yes, it can be a bit slower than cv2.VideoCapture which is implemented in C++ — and then Python binaries supplied. But also keep in mind that the Pi 2 only has a 900mhz processor. Yes, it’s quadcore and multi-threaded, but until you write code to actually take advantage of multiple threads, you won’t be able to utilize the benefits of the processor. When you run tests like this, you quickly realize how much performance is lost to I/O latency. This blog is wonderful and exactly what I need for my current project. However I noted when running your fps_demo.py as is with the same Logitech c920, I received significantly fewer frames than you show in your screenshot. I’m running a Raspberry Pi 2 and the script is reporting around 9 fps for single threaded and fps 13 for multi-threaded. I followed your tutorial for setting up OpenCV with Python 2.7, but aside from that don’t have much else on the Pi so far. Could there be something I’m doing wrong/havent setup that could account for this discrepancy? Hey Hunt, I’m honestly not sure why your numbers do not match mine exactly. Do you know if you have any additional drivers installed, such as V4L2? Also, are you executing your script locally on the Pi or remotely via SSH? I was under the impression that the uvcvideo driver was dependent on v4l2 (http://unix.stackexchange.com/questions/116904/understanding-webcam-s-linux-device-drivers), but it seems I’ve got a lot of searching to do to see what’s really going on. I tried the raspicam vs VideoCapture method… but notice the frame rate seems slightly better (if not the same) using cv2.VideoCapture on RPi2. Hi, great tutorial! Do you know how I would be able to have one thread that continually displays current frames, and another one that detects faces; so when the detect face script is finished it changes the live frame? That’s absolutely possible, but I don’t have any code for that. 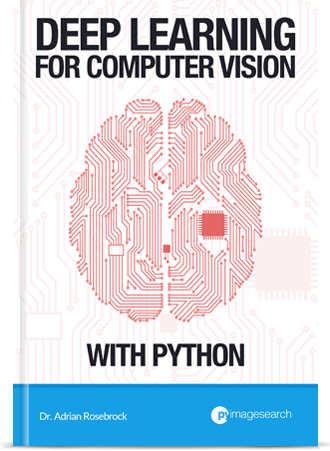 I would suggest starting by reading through Practical Python and OpenCV where I discuss how to detect faces in images and video streams. You’ll want to use a separate thread for this code. Then, your main thread can monitor the previous thread and see if any new bounding boxes are returned. Hi Adrian, thank you for all your great tutorials. I’ve been playing around with this one for some time and there is something I don’t quite understand. The read() function simply gives us the last captured frame. There is nothing that prevents it from delivering the same image more than once. As I can tell you only use this read() funciton in the loop of your fps-test method. It doesn’t measure how many frames from the streams are captured – in an extreme case the same frame could be delivered in every call of read(). In contrast the fps test for the non-threaded approach really captures a frame in every loop execution. The numbers can’t be compared in a meaningful way. Can you enlighten me? Maybe my understanding of “fps” just differs from yours. Hey Kai, I would suggest giving this post a read, which better explains the context of FPS. We aren’t measuring the true FPS of the physical camera sensor; instead, we are measuring the Frames Per Second processing rate of our video processing pipeline. The numbers can be compared in a meaningful way by measuring the actual throughput of our processing pipeline. The examples presented in this blog post are quite simple, but in reality, most video processing pipelines are more computationally expensive, so the background thread (i.e., removing a blocking I/O operation) can help speedup the pipeline — that is what the blog post is trying to demonstrate. Hi Adrian, thanks for this awesome post. I’m learning python, and now I get the camera pi. because my pi camera is inverted. When I execute the fps test with display, the image don’t change when the thread start . I don’t know that it’s wrong. I personally haven’t tried the vflip flag before, so I’m honestly not sure about it. You might want to open up an “Issue” on the official official GitHub for picamera. I modified the pivideostream.py to include the horizontal and vertical flip attributes and they work fine for me. My picamera hangs upside down. It allows me to select whether i need to flip or not when calling PiVideoStream. Thanks for sharing Erik! And for those who are interested, you can obtain the same affect of flipping the frame via OpenCV and the cv2.flip function. Thanks for the amazing tutorial. I tried implementing as per the tutorial and it works great! Of late, I was reading about the Global Interpreter Lock that python has and from what I have understood, python threads don’t actually execute in parallel. So, I was wondering how is this code actually managing to get the speed boost? Generally people use multi-processing with overhead message passing but your tutorial deals with multi-threading only. Is it because the bottleneck over here is the I/O latency and not the CPU processing time, hence though threads are not actually running in parallel, we never have to deal with the latency arising because of I/O? You’re exactly right — the bottleneck here is the I/O latency, not the CPU, so by moving the I/O to a separate thread, our main thread is free to run unblocked, not having to wait for the I/O. Will there be a further improvement in the FPS If the multiprocessing module is used in order to run the camera capturing thread on a separate core? In general, no. Threads are used for I/O bound tasks while processes are used for heavy computations. Absolutely helpful all of your tutorials. I tried multi-threading on Windows on my Laptop and the improvement is DRASTIC. I understand that your multi-threading results were demonstrated on a Pi 2, but can’t it be done on a B+ as well? There are two reasons for this. The first is that the B+ has only a single core while the Pi 2 has four cores, making threading a much more efficient operation. Secondly, X11 forwarding adds yet another level of I/O overhead and will dramatically hurt your performance. Instead of executing your script via X11 either (1) turn off the cv2.imshow call by commenting it out or (2) execute your script keyboard + monitor. This will improve the results on the B+. I’ve been trying to get a python script up and running with some streaming from my NOiR cam. And I’ve been succesfull in executing your above script. however what i want was to capture a stream do something with it transcode it to H264 using the pi’s HW acceleration and the send it to a server. But just getting the above code to run with an acceptable FPS is beyond me. I am of cause trying to capture a stream in 1920×1080. Is this to much to ask for in the python script. I have this working using the gstream method. and i could use the python script to setup the gstreamer instead, it would just be nice to have it all in the same spot. Realistically, yes, I think capturing 1920×1080 is a bit too much for the simple picamera module. If you’re looking to get a reasonable FPS, your frames should be a maximum of 640 x 480 (at least that’s the rule of thumb I use from my experience). As the size of your frames increase, the number of frames per second the pipeline can process will drop dramatically. The larger the image is, the more data there is to process — thus the script starts to run slower. However it is possible for me just to start the picamera streaming and it runs just fine with fin FPS. but the problem is when i capture the image and pass it to openCv then the drop to about 2 fps with threading and 1.5 fps without. I am looking for a way to make motion detection, and the start a high res stream to a server. So just to clarify, what resolution are you capturing your frames at? The larger your frames are, the less FPS you’ll be able to process. As an aside, I currently have open GitHub issue with picamera to see if it’s possible to capture multiple stream resolutions at the same time. It can be done using multiple resolutions + files, but I’m not sure if it’s possible to capture the raw stream. My plan is to do motion detection and a steam of 320×200 (low res). if it then detects anything the raspi should start sending a stream of 1920x1080p to my server. Thanks for the tip on gstreamer, I’ll be sure to give this a try inside of utilizing picamera. I am trying to do a similiar project, so iwouød like to ask if you had success with solving the low fps/resolution problem? Raspicam is limited with 1080p30fps. In that case, thread won’t help to break that limitation. Am I right? Correct, you cannot break the limitations of the sensors themselves. Thanks for your confirmation. It’s really helpful. I did some investigation of your code using threaded and stumbled upon a problem I’m not sure you are aware of. The frame rate is actually not improving, it is just the same frame being received multiple times. I implemented a method to check if the frame had actually changed between calls and then got a better estimation of the correct frame rate, which is around 6 fps at 640×480. Thanks for the comment Jacob. As I do a better job explaining in this post, the goal of this series is to increase the FPS processing rate of the pipeline. Or more simply, how many frames our while loop can process in a second. The distinction is subtle, but important. That said, I would definitely like to update the PiVideoStream class to only return a frame when a new one has been polled from the camera. Adrian, than you for all the effort you’re putting in these tutorials. You helped me a lot in my adventures with OpenCV and Raspberry Pi. For my application I need to process as many frames as possible (who doesn’t?) while avoiding duplicate frames. I stumbled upon the video_threaded.py in OpenCV samples. I adapted the script for Raspberry Pi and I was able to get 16 fps at 320×240 on Raspberry Pi 3. Do you think this is a good approach to increase fps? If your goal is to read as many (new) frames as possible and then process them, then this is a standard producer/consumer relationship. Your “producer” is the frame reader (single thread) which only grabs new frames and sends them to the consumer. The consumers should be a set of processes that look for new frames in the queue and process them. There are many, many ways to accomplish this in Python, but as long as you use a producer/consumer relationship, you’ll be okay. how can i change raspberry pi camera setting in PiVideoStream class ? You’ll need to modify the imutils directly. I would suggest downloading the code directly and then modifying the PiVideoStream class to your liking. When you define a Python class named PiVideoStream, where and how is it saved? Is it saved as a separate file in the same folder as picamera_fps_demo.py? Does it have an extension? I noticed this file wasn’t included in the downloads so I wasn’t sure. The reason the pivideostream.py file wasn’t included in the download of the code is because it’s already online and part of the imutils Python package. Make sure you install imutils (or upgrade to the latest version) before running the code in this blog post. Any idea what I’m not doing or doing wrong? Just to see if that resolves the error? Thanks for the tutorial! I followed on a pi zero with the official pi camera and thought someone might be interested in how well performs. Thanks for sharing Alex! Although in general, I don’t really recommend the Pi Zero for video processing since it has only one core (while the Pi 2 and Pi 3 have four cores). Could I suggest a small change to the the fps function in FPS modules? If ‘self._end = datetime.datetime.now()’ is added immediately before ‘return self._numFrames / self.elapsed()’, then the fps function may be used anywhere in a pipeline (provided _start has been set). For instance, I added a call to fps at the end of the timestamp overlay in the video window so I can see the frame rate ‘live’. I was wondering how do I implement this code in my python script for image processing? This code is already implemented in the imutils library. Just install imutils and you’ll be able to use it! It sounds like your Raspberry Pi is having trouble accessing your video stream. Double check that you can access your Raspberry Pi camera module. I would suggest starting with this post. Awesome tutorial! Do you know how to get this same boost in fps with CSI cameras? I should’ve specified that I am using a rpi 3 and if that would change anything. So you’re using the standard Raspberry Pi camera module? That shouldn’t change anything at all. You’ll still get an increase with threading. This is an amazingly helpful post. Thank you Adrian! I removed the line “frame = imutils.resize(frame, width=400)” from my threaded process, making the window go to the default 320×240 buffer size instead. I was able to achieve over 350fps from my threaded process on my Raspberry Pi 3 after doing that! I currently get around 100fps while using multiple threads, even after applying transformations like gaussian blur, grayscale, thresholding and blob detection to each frame. A 10x increase fom the 10fps I was getting before. Thanks again! No problem Adam, happy I could help! Just keep in mind that the 350 FPS is the number of frames per second that you can theoretically process using your loop. This code measures the actual throughput processing rate of the video pipeline. As you add more steps to your pipeline, this will start to decrease. Hi Adrain, when you use the pi camera, you set the frame rate to 32 in this line: def __init__(self, resolution=(320, 240), framerate=32) , what does 32 mean here? Is it the ‘true’ frame rate of the pi camera? If my frame rate is 128 after applying the multiple threading, does it mean that each image sent from pi camera will be processed 3 times in the loop? Yes, that is the intended, “true” rate of the camera. The 128 implies that you can feed a total of 128 frames per second through your video processing pipeline. Whether or not your camera is physically capable of reading 128 frames per second is dependent on the actual hardware of the camera. I need to edit the resolution, currently the class PiVideoStream is using 320 x 240 pixels, I need to change this. Sorry, one quick additional question. Is it possible to change the resolution to a different aspect ratio than 320×240? I seem to be having trouble with 16:9 video where the frame gets all scrambled. The PiVideoStream class abstracts away the internal picamera object. I would suggest modifying the class to (1) adjust the resolution from within the constructor or (2) accept a pre-configured PiCamera object. I hope that helps! Yep, I think that makes sense! My python is….not good 🙂 but I’ll see what I can manage. Thanks! What if the processing pipeline is so complex, that the image processing itself is slower than the framerate the picamera is potentially delivering? Am I right in saying that this threading method only makes sense, if the processing pipeline is not too complex? For example, if the processing pipeline is a hough transform, which costs tremendous amount of cpu time. If I get you right, then in this case we should put the processing and the image aquisition into one single thread, and execute them in serial. Because otherwise, in the threaded approach, the cpu would spend time streaming frames, which are not going to be processed anyways, since the processing loop hasnt finnished yet. In my current houghcircles application your threaded approach gives much better results (thanks by the way). Maybe houghcircles is not costly enough? I wonder if you can get even better results by not only threadening the stream, but actually making a seperate process out of it, by using multiprocessing library? It is actually extremely likely that at some point your image processing pipeline will not run in real-time, or you run into a roadblock where you need to optimize the living heck out of the application. Does that mean that threading is actually a waste of time? Keep in mind that reading the frames from our video stream is a blocking I/O operation. This would actually slow down our video processing pipeline even further since we would need to wait for the next frame to be read. By using threading, we can always grab the most recently read frame from the stream without having to wait for it. Hello Adrian, how can I show up python code properly in a comment, like you do in your blog posts? My image processing loop is able to process 10 frames (each 720×720 ) per second, so each loops takes about 0.1s. Setting up the PiVideoStream instance with a framerate of 40, and a resolution of 720×720 should be more than enough. Theoretically a framerate of 10 fps would give the same outcome. What I discoverd is, that apparently the REAL framerate of the camera is lower than 10! So I am grabbing and processing the same frame multiple times. Changing the framerate parameter of PiVideoStream doesn’t make a namable difference. by introducing the option camera.sensor_mode into the PiVideoStream class one is able to set the camera mode to 7, for example, (see here: http://picamera.readthedocs.io/en/release-1.12/fov.html), which ensures a minimum fps of 40 at a resolution of 640×480. After specifying the sensor mode to 7, my image processing has apparently been getting slower! Before that, it took 0.1s to process one 720×720 frame. Now with the sensor_mode specified it takes 3 times longer to go through one loop. What the F*? This all makes no sense to me. I really need your help. The PiVideoStream class established the camera.capture_continuous method. Is it possible to use instead the camera.capture_sequence method? According to the picamera docs the latter is faster. But I dont know how to make a threaded stream out of it. Without having physical access to your camera, it’s really hard to diagnose what the exact issue might be. It may be unlikely, but it’s certainly possible that you might have a faulty Raspberry Pi camera module. I would suggest using the raspivid tool to capture videos directly to file and monitor the FPS there as well. Secondly, I would suggest posting on the picamera GitHub Issues to see if there are any known problems as well. I noticed that the real framerate is much lower than specified, even slower than the processing(which is 10 processing loops per second). how is that possible? Can you elaborate on what you mean by the “real framerate”? Are you talking about the limitations of the physical camera sensor? Thanks for sharing the results Roger, it’s much appreciated! Adrian, thank you for this post. It inspired me to move my cv project to raspberry + picamera and result are very promising. However, placing data analysing code inside main thread drops FPS back down. As discussed before, multiprocessing could be a key to this problem. I could not find information regarding multiprocessing in your other posts. For raspberry it turns out to be very important issue to keep maximum FPS. Some basic example of using multiprocessing in your code would be very useful. Hope I am not asking too much. Thank you for the suggestion Kirill. I will certainly consider doing more advanced and optimized posts directly for the Raspberry Pi in the future. Adrian, I am a newbie to python and raspberry pi, please help! I am running a simple open cv2 program(with picam) to draw a rectangle around a face. It is a little choppy and I want to use your imutils package to solve the issue. However I don’t understand how to use the downloaded imutils package files. Can you post a clear step by step process of threading the pi. The blog just seems to explain each part of the program but I want to know how to use threading in a program. What file of the imutils package do I use? How do a interface the imutils package with my code? 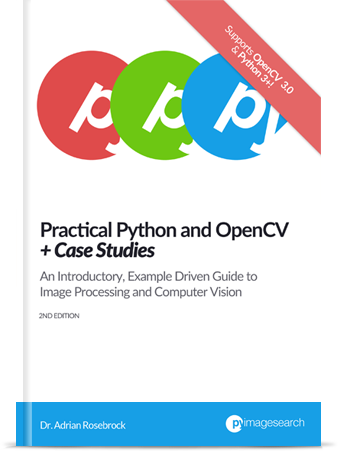 If you are new to the world of computer vision, OpenCV, and Python I would really encourage you to read through my book, Practical Python and OpenCV. 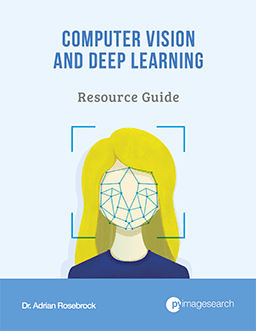 This book will help you get started with computer vision easily. 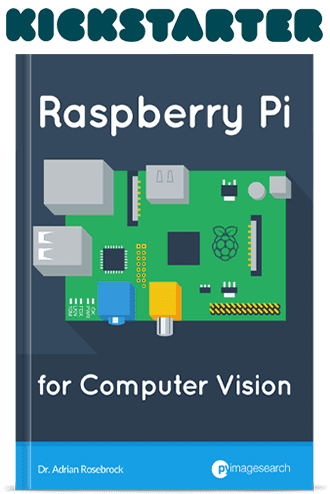 I also include a downloadable Raspbian .img file that has OpenCV + Python and all other necessary Python packages pre-installed. Be sure to take a look! Last question, so once I do: $ pip install imutils , Do I just include its directory/package import name (import imutils) on the top of my program? Is it that easy to make it thread? I thought I would need to restructure my current program to make it work as a thread. Does the recommended book and or Raspbian.img file have threading in it? Thanks for getting back to me so quickly, I will definitely look into the book for Christmas! Yes, once you run pip install imutils you would import it at the top of your Python file just like any other Python package. I don’t know what the code of your old project looks like, but I would suggest using the template I provided here as a starting point for the threading. And yes, the Raspbian .img file that comes with my book already has imutils installed with the threading component. I think this is why the example code above does not work. Why is is not allowing me access? Hi Adrian, how to display the FPS on current frame ? I would suggest using the cv2.putText function. A good example of cv2.putText can be found in this post. Great tutorial as usual! I very much enjoyed learning that polling from a camera stream is a heavy IO operation that can benefit from multi-threading. I have a question and I apologize if it’s a duplicate. I Couldn’t find it in the comments thread. From other comments I read that the X11 is a serious bottleneck and it makes sense. However, I also noticed that when you use the display you get around 51 FPS. Are there any specific X11 configurations you are using? Hey Adam — when you use X11 you need to transmit the frame over the network. This is a serious I/O overhead. When I gathered the results for this tutorial I was using a physical display connected to my Pi via a HDMI cable. No specific X11 configurations were used. Thanks again for this tutorial! Is it possible to simultaneously record an h264 video file while this stream is providing frames? Do I need to adjust the PiVideoStream class to give it the record attribute? I don’t think a simultaneous recording + video stream access is directly possible with picamera (although I’ve heard mentions of it in the GitHub Issues), but what you could do is write the frames to file via OpenCV and cv2.VideoWriter. When i run the script i have display just a few second. i want to display screen infinitely how should i modify to code to display infinitely ? Hey Oguzhan — can you elaborate more on what you mean by “display infinitely”? thanks for amazing tutorial! .How can i move the frame for my video processing script ? What do you mean by “move the frame”? Thanks for the great blog. I implemented this code in one of my projects on Pi, but the code exits gracefully without any error or crash dump. My processing block includes face detection using haar cascades on a background subtracted frame. I’m not able to understand the root cause of the exit. Can you please share your thoughts? When I execute ‘python main.py’ the code exits as soon as a detection occurs. Hi Gaurav — are you able to process any of the frames in the script? Or does the script exit as soon as you start the Python script? Thank you for pointing this out Anastasios! I have updated the blog post. hi adrian, i have been following your tutorials for my FYP . i run your code of video streaming on my pi it worked well but when i extend my code for face detection the frame rate becomes very slow because of processing. please guide me with it as i have done upto facial recognition but its too slow. 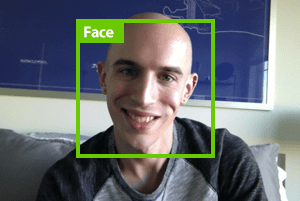 To start, make sure you resize your frame before applying face detection (the less data there is to process, the faster your algorithm will run). Also keep in mind that face detection is a slow process. Every step you add to your frame processing pipeline the slower it will become. For what its’ worth, I cover how to perform face detection + face recognition on the Raspberry Pi inside the PyImageSearch Gurus course. What would be the best way to go if I want to process data from 2 cameras (capture 2 cameras using Raspberry Pi multi camera adapter http://www.arducam.com/multi-camera-adapter-module-raspberry-pi/)? Hey Rob — I don’t know about the multi-camera adapter, but you can use this blog post to help you access multiple video streams on your Raspberry Pi. How are you accessing your Raspberry Pi? Via an HDMI monitor? VNC? SSH? Hi Adrian, i’m using this for an outdoor project but have noticed that my video is very dark. Is there anyway to increase the brightness and detail of dark area’s while still maintaining a fast streaming rate? You can actually adjust the brightness setting of your Raspberry Pi camera. Simply follow the documentation. Hi Adrian, to ask another question. I want to do basic color recognition on a video stream from the pi(with v2.1 camera) but even with multithreading it’s only doing 15ish frames per second(without any processing). I only really need about a 100px horizontal line of the image for my project, to try and speed up the image stream is it possible to just take those pixels(1280×100 from the centre of the screen)? I thought about inputing that as the image resolution but assumed it would just shrink down the vertical dimensions when what i want is just a small section of the vertical pixels in the middle of the screen without having to crop the image after it’s been read as this would likely not improve the speed. Is this possible or is there anything else you can think of to improve the speed? Reading frames at 1280px is likely why your processing pipeline is so slow. Can you reduce the size of your resolution? That will dramatically increase your throughput. And yes, you can process just a specific area of a frame. Just apply basic NumPy array slicing/cropping to extract the region. Hi Adrian, i could but i would loose the distance, basically i want to be able to recognise an object like a qr code at distance, so reducing the resolution directly affects the range of the device. Is there any way to digitally zoom with the camera(so i can get a high resolution from a certain part of an image(get the range but with less pixels == faster)? If you want to “zoom” in on a specific ROI using a lower resolution image you would have to resize the ROI via interpolation. This could lead to the ROI looking interpolated. Because of this, it’s best that you work with the higher resolution image (even though it will be slower). 1.2) If I use cv2.imshow() realization (for example your VideoStream class) without any processing FPS dramatically decrease to 10 without multithreading and 14 with multithreading. Why it is happening? Is cv2.imshow() decrease represenatition FPS? 2) If I use 1296×972 (default resolution) and OpenCV and while capture starting cv2 return message that resolution was rounded to 1296×976 (default resolution). What the reason of that? The .startpreview function shows a previous of the video stream. As a compiled binary it runs quite fast. I also believe it’s piping the output of the camera straight to the screen which helps reduce the latency (instead of allowing any processing to take place). As far as OpenCV returning a different resolution, I’m not sure why that is happening. Can I use this code with an external camera? I don’t have picamera and I would like to increase the speed of detecting the faces in raspberry pi 3 using an external camera. Is that possible? Thanks for all your posts, all of them are very very helpful . I have a Trouble trying to run the PiVideoStream() with the Raspberry Pi Camera Module V2 – 8 Megapixel,1080p resolution = (height = 3264, width = 2448)) in the RPi3, I was able to get the frames from the producer vs.read() but they are just black screen images, this behavior appear from 2 Megapixles resolution = (2048, width = 1536) and up , below this everything is normal. All this is some limitation from the VRAM, RAM or the Threading module??? This sounds like a limitation of the Raspberry Pi camera module itself. Which version of the camera are you using? With the classic cv2.VideoCapture() from opencv running in a separate thread as you teach us before there is not this problem, but with this approach from opencv there is not a automatic gamma correction for darkness and brightness from opencv to the picam, that is why I was trying the way to make work the picamera module for this automatic gammas corrections. I have a post on Gamma Correction that might suite your needs. Hi Adrian, thanks for the post! I’m wondering when you set the resolution to 320×240 and later resize the frame to 400 width, does it somehow affects the resolution? After resizing, the resolution is no longer 320×240? I’m only resizing to better visualize the image on my screen. The resizing does not affect the capture resolution. Hi Adrian, thanks for the post, it helps a lot. some corrupted frames started to show up in the stream every now and then, about 1 or 2 frames per second. Their brightness seems to be wrong, which affects my thresh process. Streaming video using raspvid doesn’t show the same issue, even when I set the fps to 90. Do you have any idea why this could happen? That is quite odd. I’m honestly not sure what the problem is there. I would suggest posting on the picamera GitHub as that is the underlying library used to access the Raspberry Pi camera module. I keep getting an error, where it says not enough resources. I’m pretty sure its because of the camera being initialised twice, once in the thread script and once in the normal script? I’ve copied your script exactly still don’t know why its causing an error! Please help! Hey Sagar — what is the exact error that you are getting? Also, make sure you use the “Downloads” section of this blog post to download my code + example instead of copying and pasting it. You may have accidentally introduced an error during the copy and paste. Very helpful guide. It made me realize my current set of code is not optimized. I’m trying to achieve 60fps at 720p the picamera is supposed to be able to perform. Using the picamera module (picamera.start_recording) would allow me to achieve about 20-24 fps. Is it faster to go with opencv like in your example? Unfortunately OpenCV + picamera is not going to be able to perform the raw 60 FPS that the Raspberry Pi camera module itself is able to perform. There is too much overhead with the additional Python libraries. A bit of confusion here. From what I understood, Python multithreading is not allowed to run on multiple cores due to GIL. But from htop command in Raspberry Pi 3, I saw the CPU usage is 110%. Does that mean the main thread and the camera thread are run on 2 different cores? I read that some I/O tasks would release the GIL allowing them to run in parallel? We specifically create a thread here would should theoretically be associated with the same process and same core. It’s not a forked process or brand new process. I’m not sure why your CPU usage would be that high. When you say “The read method simply returns the most recently read frame from the camera sensor to the calling function”, means that, if the process pipeline consumes more time than the FPS from the camera, some frames will be skiped? Your understanding is correct. The function will always return the most recent frame. But i can not understand where and when vs.update() is made? How can i check if the loop works on the next frameor still the same? The “start” method kicks off the “update” method which will then start an infinite loop. This loop is responsible for reading new frames from the Raspberry Pi camera module. The “read” method will return the most recent frame. Over 500 FPS on a Pi? No, not possible. It has been a while since I have looked at your blog posts, I am trying this one out on a B2 raspberry PI running stretch. I do not use a virtual environment on the PI. when I run the script the error I get is “No module named imutils” I simplified to this becasue none of the import imutils.video etc work. sudo pip3 install imutils ( or pip) gives me a message saying it is up to date. If I open up the basic python IDE then I can import imutils and list all the functions etc. When imutils was installed it used piwheels. Also, I have read some posts regarding __init__.py not being needed on oython 3.3 and above. So I am confused as to what is going on. I think it has got to be a python problem of some sort, have you come across this? As soon as I post a question, 10 minutes later I realise what is going on! Think I need to type out my problem then wait a day before I ppst! I had not changed geany to run python3, thought the default was python3 on stretch, do not know where I thought that mind you! Thatvexplains what was going on, the IDE was running python3, hence imutils was imported, script was running python 2, hence it was not. Sorry to bother ypu, now on with me face detection on a B2. PS, I wont be bothering you with any problems there because I am using your previous blog which works! Okay, I would like to share my inference from the implementation. What I observed was, when I fed a pre-recorded video to the pipepline, a video with aprox~700 frames was processed at around aprox ~2 seconds. So, the pipeline achieved a fps of 350 frames. And when I Implemented the code on a webcam/picam it gave me a value of 100-150 fps, but not really on the display i.e cv2.imshow(). So, the pipeline is capable of achieving the calculated fps theoretically, but limited to the physical capabilities of the nature of the sensor itself i.e A 30 fps camera would give a 30 fps frames feed by implementing this pipeline . But fails to achieve by using just cv2.VideoCapture() since the blocking function(reading and decoding) happening simultaneously which along with the o/p display cv2.imshow() reduces the fps processed. Keep in mind that we are not increasing the FPS of the camera itself. There are physical limitations of what the camera can achieve. Instead, what we are doing is increasing the frames per second throughput rate of the pipeline. In that sense, yes, your understanding is correct. Hi Adrian, great posts, thanks for sharing. I’m looking to get full resolution from the sensor (3280×2464) I’m not too concerned about having a high frame rate, although the the specs it seems like the sensor should produce 15fps at this resolution. I’ve managed to achieve 1640×1232 with more than acceptable results using your code, but at the 3289×2464 I only get a black frame. I’ve increase the GPU memeory to 254MB but this makes no difference, and there’s no obvious information given on what the issue could be. My goal is to produce a digital zoom camera (smooth and progressive) with the final output resolution at 800×480, and 4:1 zoom ratio, so at the high zoom I’ll be croping the image and at low zoom I’ll be binning the image (on the Pi rather than the camera). The blank frame makes me think it’s an issue with the “picamera” library itself. I’m not sure off the top of my head what the problem or corresponding solution would be but I would suggest posting the issue on the official picamera GitHub Issues page so the developers can take a look. I’m sorry I couldn’t help more but I hope that at least points you in the right direction. Hi Adrian, thanks for sharing. I have a problem. I dont understand why real FPS (without multi threading) is not 90. It is just 15-22. In documents it should be 90 at 640×480 or more if over clocked. Is there any way to get real 90 or more FPS in python with raspberry 3 and pi camera v2.1? Yes, it will work on a Raspberry Pi 3B+. Thanks for the great posts, i use pi-zero to detect faces, but it seems very slow and not accurate or fast, will increasing the fps solve this issue ? please help me. The Pi Zero is very slow in general. I don’t recommend using it for computer vision tasks. Try to use a 3B+ if at all possible.